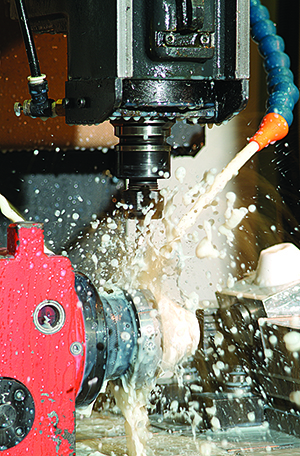 Overlake Oil is a metalworking fluids supplier and consultant for machine shops in Western Washington. From prototype developers to top tier aerospace part manufacturing facilities, our high quality low maintenance products can change the way you look at lubricants. Many shops machining aluminum, steel and titanium alloys in the Pacific Northwest require Boeing approvals. Boeing approvals can take years for a lubricants company to acquire and many fluids claim to have the approvals even though they are pending or not available in all categories. To ensure that your fluid is Boeing approved against the metal you are machining – ask your provider for a copy of the PSDS to keep on file and double check it when a new metal is introduced. Better yet, we recommend choosing one of our top-notch biostable coolants with Boeing approvals in all categories from the start. All of these and the concerns for potential cross contamination and lube room can be prevented. Contact us today for a free site assessment and the first step to maintaining a clean and safe working environment. With various levels of consultation and support, we work with our customers to provide a customized program for their shop.